A FAA Advisory Committee has recommended that regulators relax restrictions on using electronic devices during flight takeoffs and landings, according to the Associated Press. The 28-member FAA advisory committee voted to recommend the change during a closed-door meeting Thursday, said industry officials familiar with the deliberations. They spoke on condition of anonymity because the government asked them not to talk publicly about their deliberations. The recommendations will be sent to the Federal Aviation Administration on Monday. Even if they are implemented, you will not be able to make phone calls or surf the web. Rather, the relaxed restrictions would allow you to use your device in AirPlane mode. ie. listen to offline music, watch locally stored video, play most games, read downloaded books, emails, and messages, etc. "These devices are not dangerous. Your Kindle isn't dangerous. Your iPad that is on airplane mode is perfectly safe," said Sen. Claire McCaskill, D-Mo. Airlines and technology companies such as Amazon have been trying to convince the FAA to relax restrictions for years. Senator McCaskill is now warning FAA officials that if they don't "act swiftly" to implement the recommendations, she will introduce legislation to force them to do so. Airlines have already received approval from the FAA to use the iPad in the cockpit and as in-flight entertainment devices. Last year, American Airlines received approval to use the iPad in all phases of flight, replacing much of the pilot's flight bag. Hawaiian Airlines has announced that it will deploy 1,500 iPad minis for inflight entertainment on its Boeing 767-300 aircraft beginning September 1st. 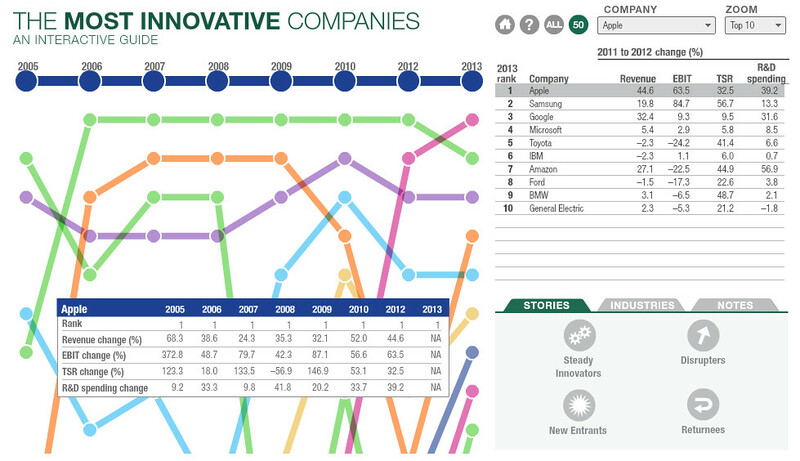 Apple has been ranked the most innovative company by BCG for the ninth consecutive year. The Boston Consulting Group looks at data collected from over 1,500 senior executives who provided information on their own innovation plans as well as their opinions of other companies' innovation track records. The 2013 results reveal the 50 companies that executives rank as the most innovative, weighted to incorporate relative three-year shareholder returns, revenue growth, and margin growth. Despite its recent stock-market travails, Apple retains the number-one ranking for the ninth consecutive year. Samsung pushed past Google for the number-two position, and Microsoft remains at number four. Joining Toyota in the top ten are two additional automakers—Ford and BMW. 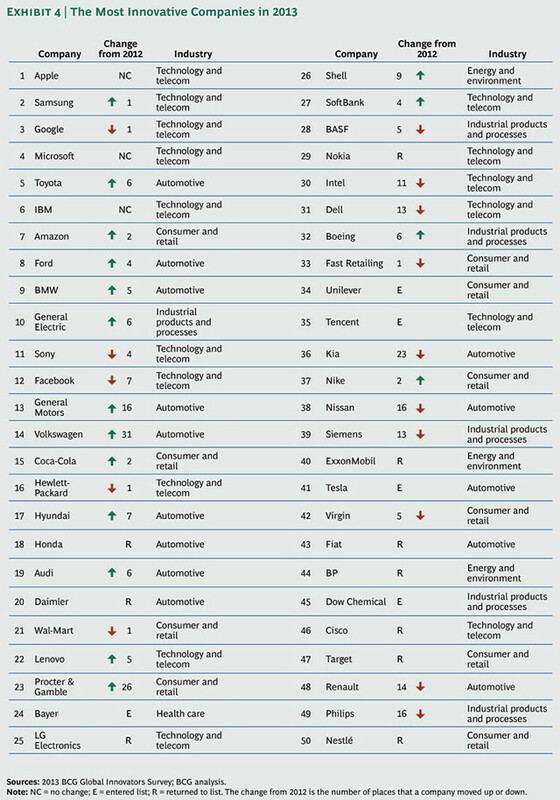 The auto industry makes an exceedingly strong showing overall—3 companies in the top 10 and 9 in the top 20. Four car makers are new to the list, and Volkswagen and General Motors are two of the biggest gainers, moving up 31 and 16 places, respectively. For the first time since we began this survey, there are more auto companies than consumer companies in the top 50 and more automakers than technology companies in the top 20. Take a look at the chart below.. Alleged schematics have surfaced online which reveal the width and thickness of the iPad 5 will be significantly reduced. The documents were provided to AppleInsider and are being used by case and cover manufacturers to create products ahead of the device's officially unveiling. The image suggests the next iPad will measure exactly 169.48 millimeters wide, shaving more than 15 millimeters off the width of the fourth-generation iPad. 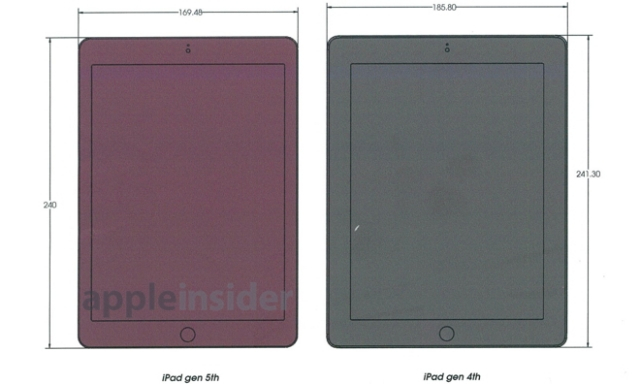 The document also shows that the height of the device has been slightly reduced, from 241.3 millimeters in the current model to 240 millimeters in the alleged next-generation version.Thickness of the next iPad is also expected to be reduced, going from 9.55 millimeters to 7.5 millimeters, the document claims. 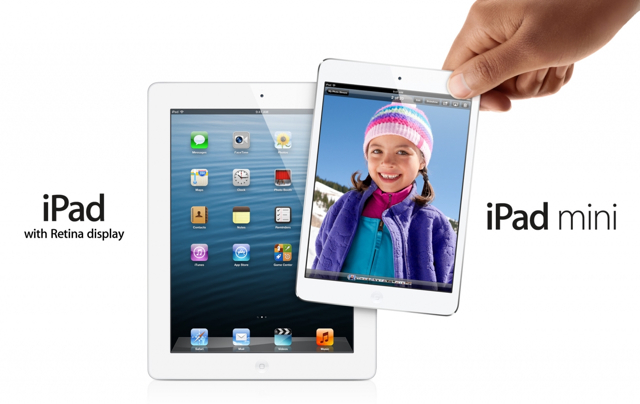 Notably, the iPad 5 is also expected to be lighter. Sonny Dickson recently leaked photos of the tablet in space gray and silver. It's thought Apple will unveil the device sometime in October. 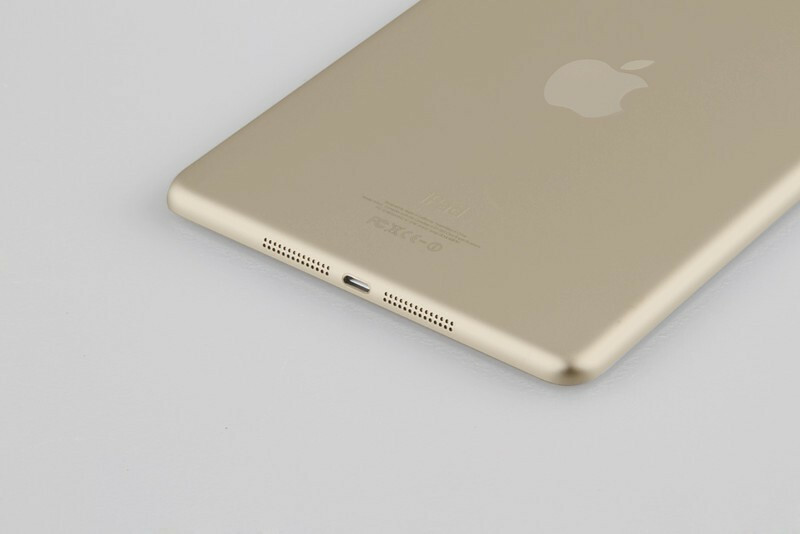 Leaked Photos of Gold iPad Mini 2 With Touch ID Fingerprint Sensor? 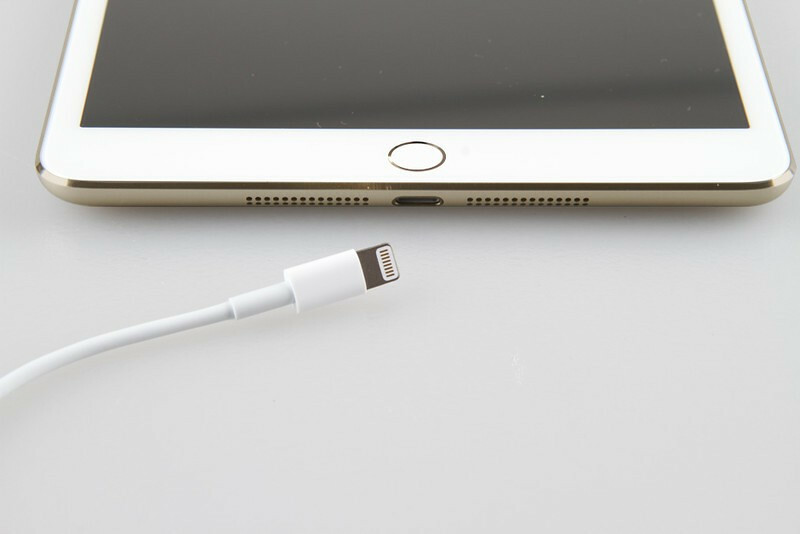 Photos have leaked online allegedly depicting the gold iPad mini 2 with a Touch ID fingerprint sensor. The photos were posted on zol.com.cn and first spotted by Nowhereelse. It's difficult to confirm whether these are authentic photos; however, Sonny Dickson, who has a very good track record, leaked 'space gray' and silver versions of the iPad 5 just recently. Take a look below. What do you think?